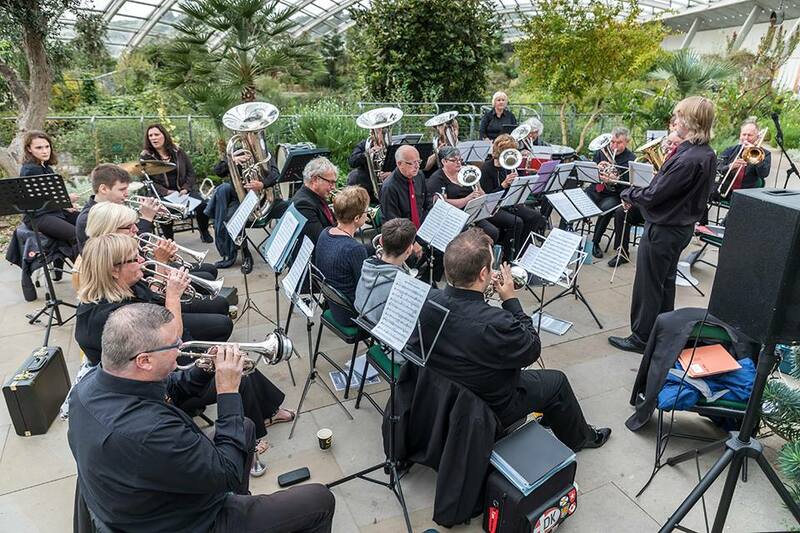 Eight bands altogether over two weekends had been invited to play and entertain visitors at the Botanic Garden in Llanarthne as part of the Big Band Bonanza. 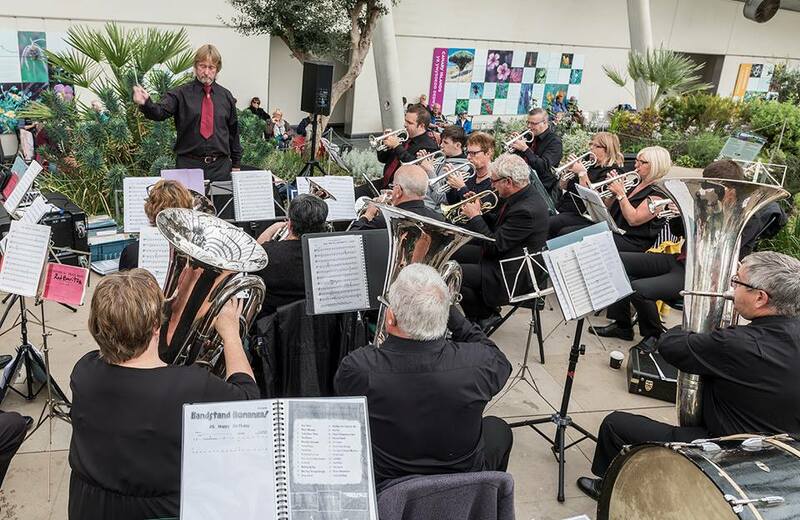 There were three brass bands namely Ammanford, Gwaun Cae Gurwen and Crwbin with five big bands – Bridgend, Morriston, Constellation Big Band, Steve Price Big Band and the City of Swansea Concert Band. Crwbin conducted by Julian Jones played in the great glasshouse from 11:00 – 13:00 on Sunday September 30th. It was a great experience and well received by an appreciative audience. On Saturday September 29th the band performed as guests of ladies’ choir Lleisiau’r Llan at Salem Chapel, Llangennech. The choir led by Gill Evans with accompanist Julie Humphreys; the band conducted by Julian Jones; and soloist Ffion Haf Jones accompanied by Allan Fewster provided the entertainment. Ffion Haf is one of Wales’ talented young voices having won the Blue Riband – the David Ellis Memorial Prize at the National Eisteddfod in Meifod in 2015. The compere for the evening was Glynog Davies, Brynaman. During the interval he introduced Beti George, presenter on Radio Cymru and BBC television. She gave a moving address on the theme of dementia and how the disease had affected her late partner David Parry Jones. She was full of admiration for the sterling effort of the choir in raising money for the Centre for Ageing and Dementia Research at Swansea University. Beti also complimented all the artists for an excellent concert. Busy weekend for the band playing in Llangennech and the Botanical Gardens. Fantastic 2nd place finish in Cardiff playing Verona Lights. Tough competition at the Brangwyn this year for the band.